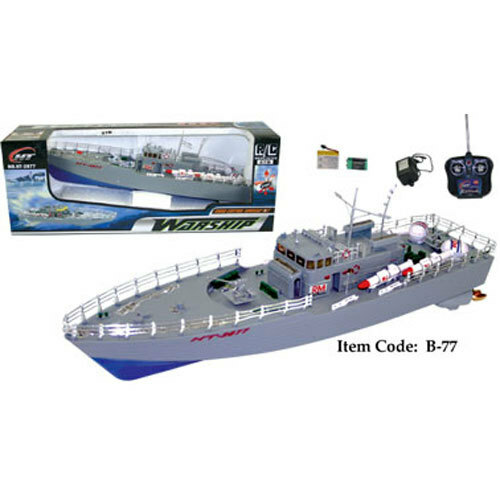 This is a brand new 19.5" Remote Radio Controlled warship boat. This is a realistic looking showcase quality scale model ship. 2 Channel radio control system provides smooth handling of the boat.